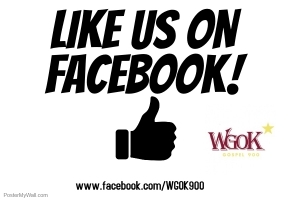 Please Like us on Facebook and then SHARE!! Our WGOK’s Facebook Page is where you can find Community Involvement, Gospel Infotainment, Events, Giveaways, Videos and so much more. You will never know … When you FAVORITE Radio Angel Will appear LIVE!! !